The Louvre is an amazing museum, filled with artwork spanning centuries. But what we now know as one of the finest cultural sites in the world started out with much more humble beginnings. Find out when and where this museum got its start and how it became the beloved museum of today. 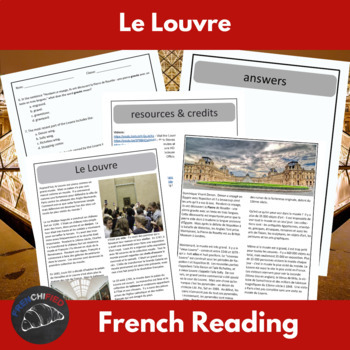 A 2 page reading for beginning and intermediate French students. 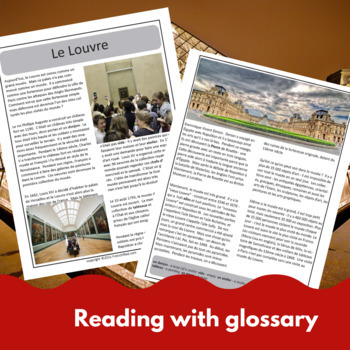 Vocabulary and grammar are simple enough - present tense with only a few instances of the passe compose and imparfait- so that a first year, second semester class would be able to read and understand the writing. 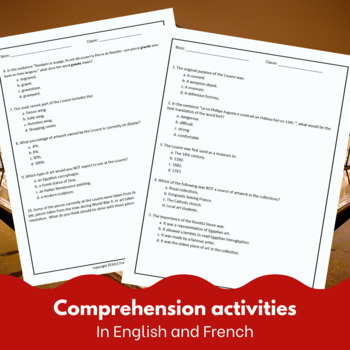 Includes a 10 question multiple choice short answer worksheet in English with answer key as well as related resources.